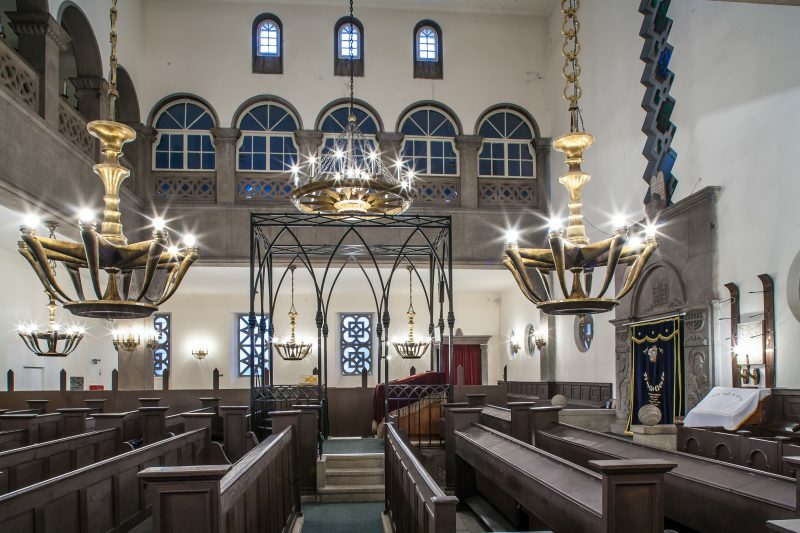 What kind of travel itineraries can you find at this page? 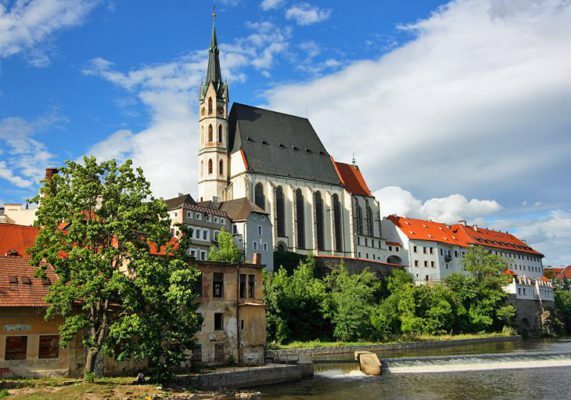 Day trips are available from Budapest, Cesky Krumlov, Munich, Prague, Salzburg, Vienna and other cities across Europe. Our drivers are knowledgeable travel companions with years of experience in the travel industry. All tours are private and solely tailor made according to customer’s expectations and needs. We are able to organize professional guides as well as local city tours in each destination. Transportation is organized between point A and point B with a stop or multiple stops on the way between starting and ending points. Direction of travel is available both ways from A2B as well as from B2A. Contact us for more details, or should you not be able to find, what you are looking for. We are ready to help. 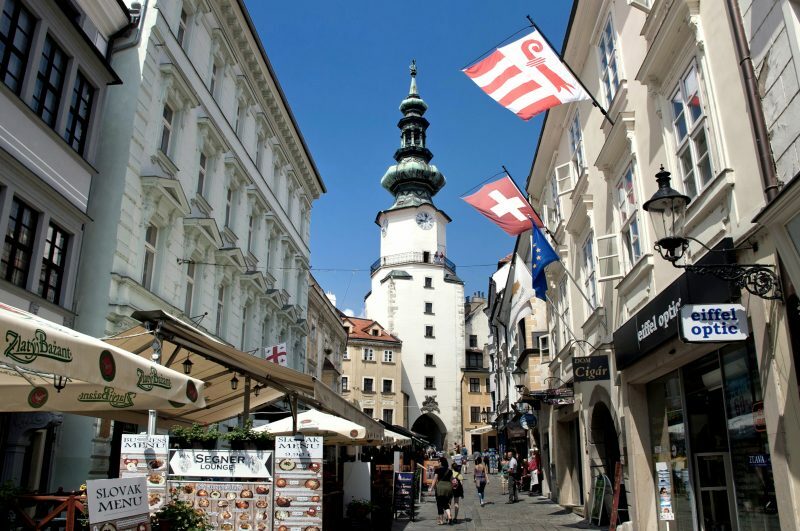 Bratislava is a capital city of the Slovak Republic. 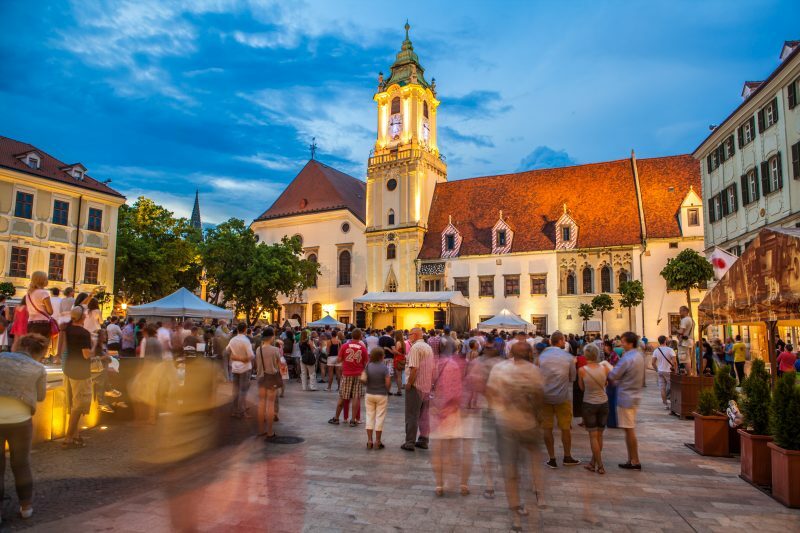 The city center is pretty small, but beautiful, it is possible to visit the Bratislava Castle and organize a local sightseeing tour with a professional guide. After the tour of Bratislava we typically leave free time for exploration and lunch. 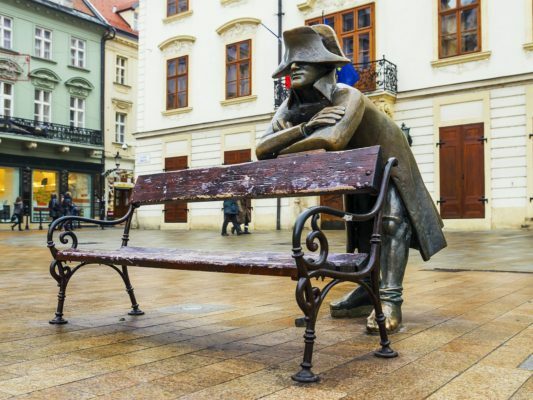 What to see in Bratislava? Cracow Bratislava Vienna: Recommended departure from Cracow is 8.00 to reach to Bratislava after roughly 4 hours and 30 minutes, stay in Bratislava 2 – 4 hours, depart to Vienna at around 16.00 – 17.00, reach Vienna after 1 hour and 10 minutes drive from Bratislava.The other way around we recommend to leave Vienna at 9.00 – 10.00. One hour drive to Bratislava. 4 hours sightseeing ended with lunch. The longest part of the journey from Bratislava to Cracow will be done in the afternoon. Arrival to Cracow is planned at around 18.30 – 19.30. 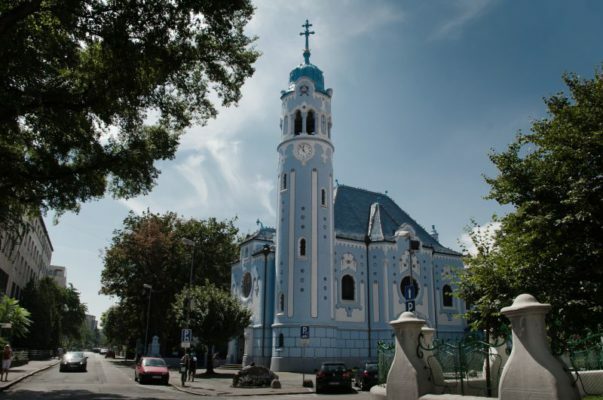 Cracow Bratislava Budapest: Recommended departure from Cracow is 8.00 to reach to Bratislava after roughly 4 hours and 30 minutes, stay in Bratislava 2 – 4 hours, depart to Budapest at around 16.00 – 17.00, reach Budapest after 2 hours and 30 minutes drive from Bratislava.The other way around we recommend to leave Budapest at 9.00. Two hours and thirty minutes drive to Bratislava. 4 hours sightseeing ended with lunch. The longest part of the journey from Bratislava to Cracow will be done in the afternoon. Arrival to Cracow is planned at around 18.00 – 19.00. Prague Bratislava Vienna: Recommended departure from Prague is 9.00. We will reach Bratislava at lunch time around 12.00 – 13.00, sightseeing time in Bratislava 2 – 4 hours, departure to Vienna at around 17.00, we will arrive to Vienna short after 18.00.On the way from Vienna to Prague via Bratislava the schedule can be similar. 9.00 departure from Vienna, 10.00 arrival to Bratislava, 2 – 4 hours sightseeing, 17.30 arrival to Prague. Budapest Bratislava Vienna: Recommended departure from Budapest is planned at 9.00. Arrival to Bratislava is planned for 11.30. After 2 – 4 hours sightseeing we will leave to Vienna, which is only 1 hour away.Vienna to Bratislava to Budapest is done as follows. 9.00 leaving Vienna. 10.00 arrival to Bratislava. 14.00 departure to Budapest. 16.30 arrival to Budapest. Budapest Bratislava Salzburg: Similar to schedule of Budapest Vienna via Bratislava tour the pick up time is recommended at 9.00 am. Lunch and sightseeing of Bratislava will be done from 11.30 to 15.30 – 16.00. Then we will take the 4 hours journey to Salzburg.Leaving Salzburg on the way to Bratislava is suggested for 8.00 instead of the typical 9.00. At noon we should reach Bratislava. If we are on schedule, we will leave Bratislava at 16.00 and reach Budapest at 18.30. 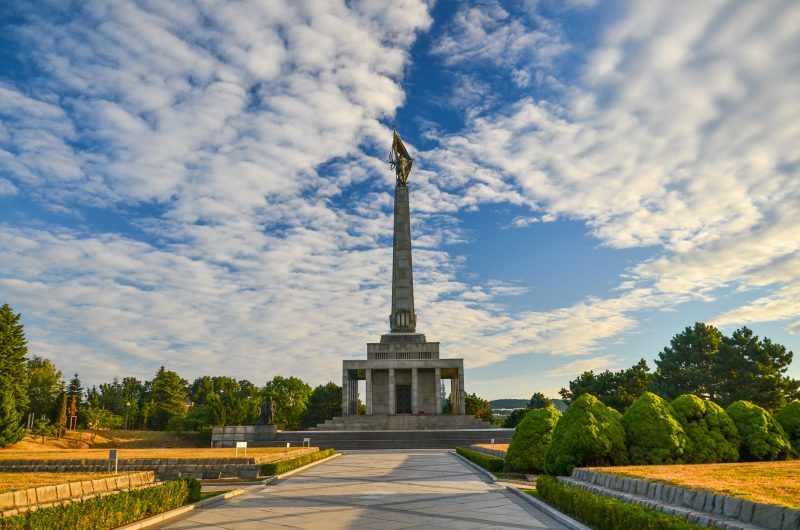 Should you be interested in a sightseeing transfer with a stop in Bratislava, contact us! Cesky Krumlov is a UNESCO listed heritage site located in Southern Bohemia. 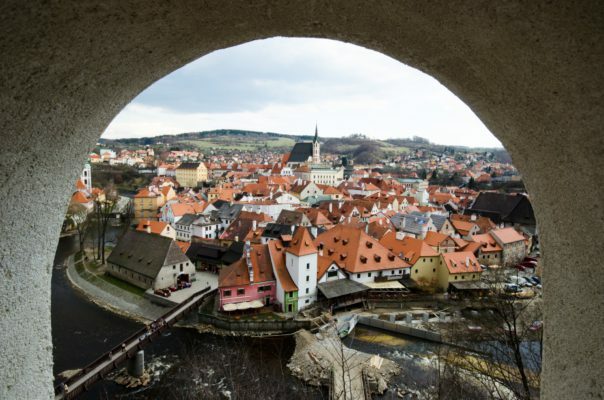 Cesky Krumlov is also referred to as the Jewel of Southern Bohemia. What to see in Cesky Krumlov? Schedule is flexible. Minimum recommended stop in Cesky Krumlov is for 2 hours, optimal is 4 hours. Alternatively or additionally it is possible to visit Ceske Budejovice, Hluboka nad Vltavou, Pisek or even UNESCO Holasovice along with Cesky Krumlov. 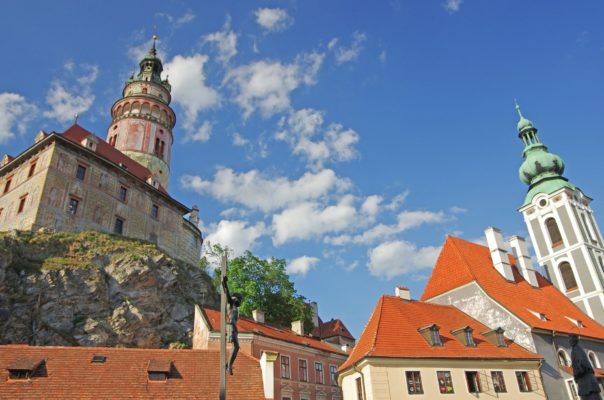 Should you be interested in a sightseeing transfer with a stop in Cesky Krumlov, contact us! Kutna Hora is a UNESCO listed heritage site located in Eastern Bohemia. 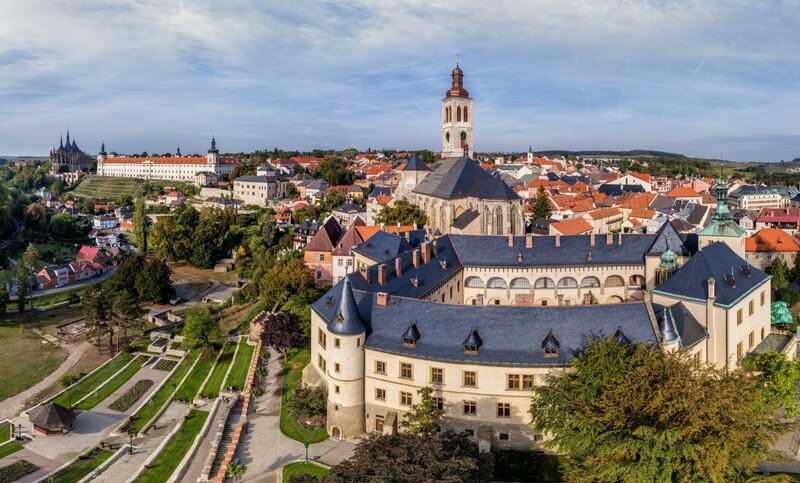 Kutna Hora is famous for St. Barbara Cathedral, silver mining and minting and especially thanks to the Bone Ossuary located in Sedlec. It is possible to start in Prague or end Prague. Schedule is flexible. Minimum recommended stop in Kutna Hora is for 2 hours, optimal is 4 hours. 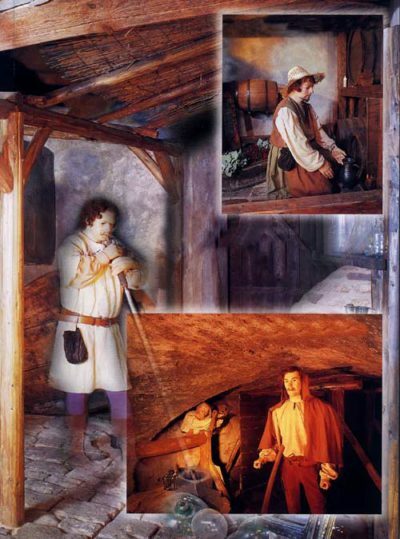 Should you be interested in a sightseeing transfer with a stop in Kutna Hora, contact us! 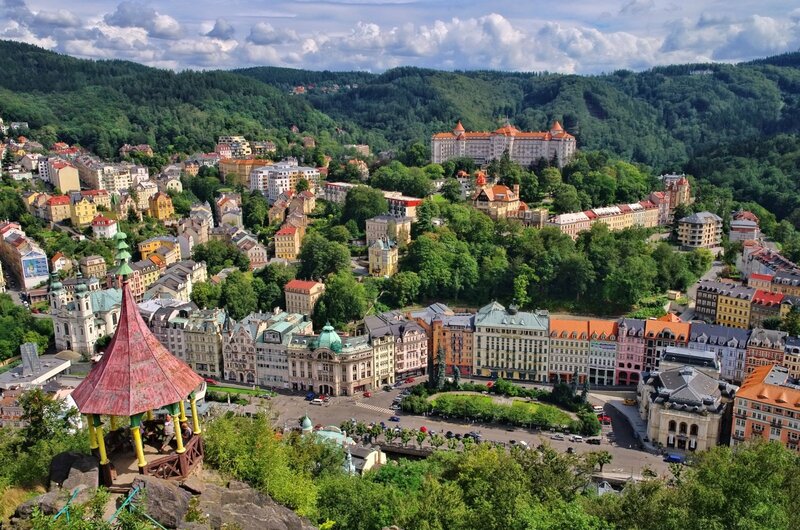 Karlovy Vary is the spa town in west part of the Czech Republic. 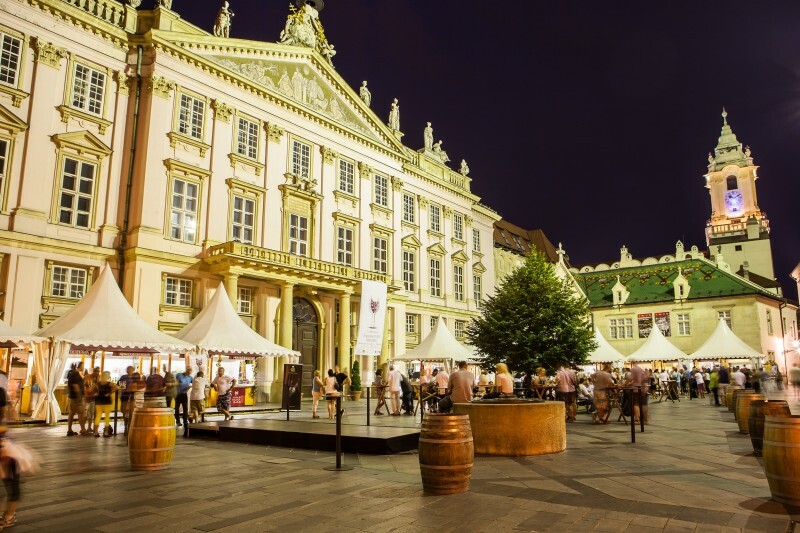 It is the home of world famous Karlovy Vary Film Festival, Becherovka herb liquor and Mattoni mineral water. 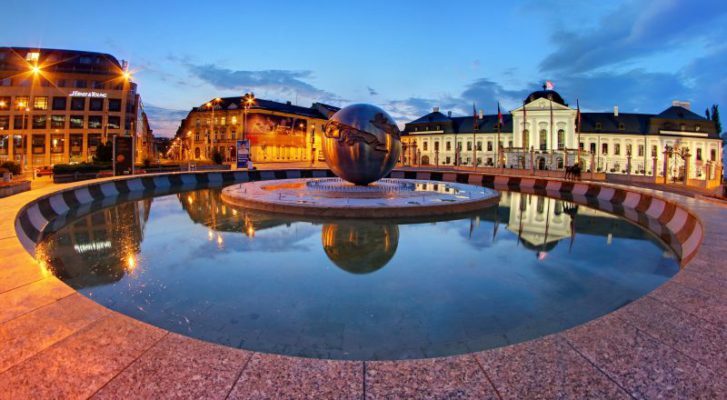 The spa town is located about 2 hours away from Prague, 4 hours from Berlin, 2 and half hours away from Nuremberg and Regensburg, 3 hours from Munich and about 6 hours from Prague. 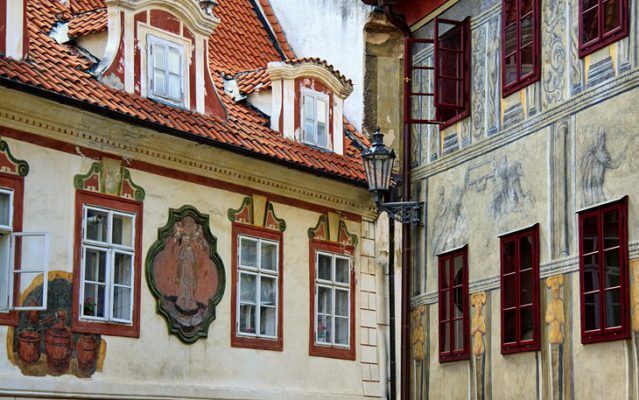 Should you be interested in a sightseeing transfer with a stop in Karlovy Vary / Carlsbad, contact us! Hallstatt is a small village in Austrian Salzkammergut region famous for its beauty, salt mines and waterfalls. 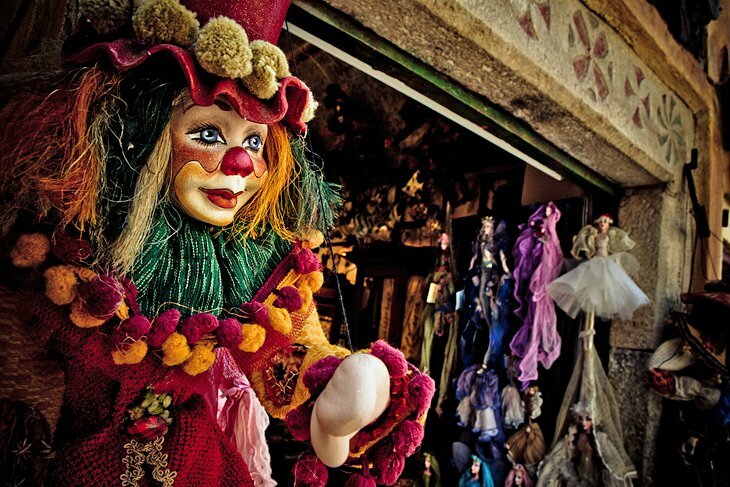 Its 16th-century houses form out the small city center full of cafes, shops and cozy restaurants. A funicular is an easy connection between the city center and the Salt mines. 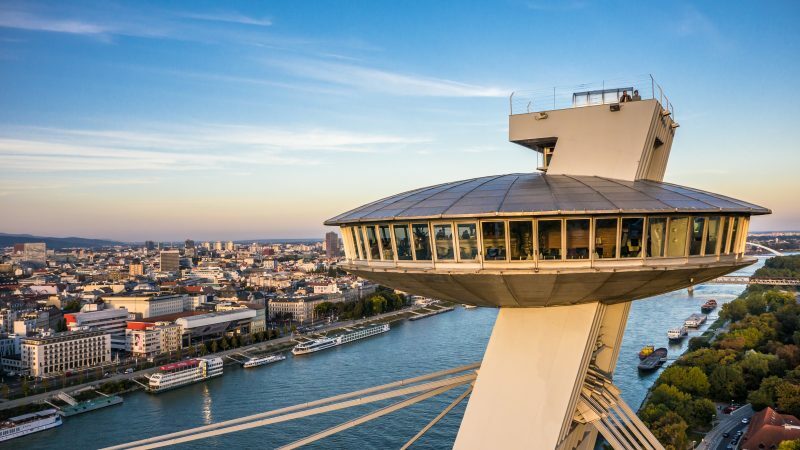 At the top end of the funicular rail is also the Skywalk viewing platform. On the way back to town after the tour of the Salt mines, it is possible to take a walk and explore the adventurous downhill path. 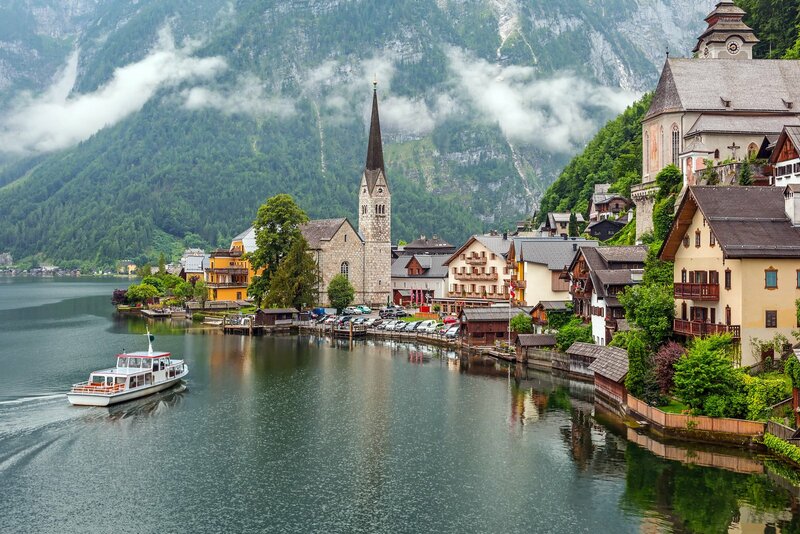 day trips to Hallstatt are organized from Prague, Vienna, Salzburg, Zell am See and Munich, on request we can organize day trips from other cities in Germany, Austria or the Czech Republic. Schedule is flexible. Minimum recommended stop in Hallstatt is for 4 hours, optimal is 6 hours. Should you be interested in a sightseeing transfer with a stop in Hallstatt, contact us!